Dental emergencies should not be neglected, because these types of injuries can go from bad to worse in a very short time. It is better to be safe than sorry, hence, it is best to seek immediate medical attention. However, when emergencies occur in the middle of the night or during the weekends, regular dental clinics remain closed. In such a situation, Emergency Dentists are your only option. Emergency dental clinics remain open seven days a week, making it easy for you to avail their services at any time. Whether it is a gum injury, chipped tooth or a dental injury of senior citizens or children in your family; waiting for normal clinics to open is not a feasible option. Since normal clinics do not usually remain operational during the weekends, emergency dentists are the best place to go to. Situated in the Los Angeles County, Norwalk is a bustling city of around 105,549 people; making it the 64th most populous city in California. Hence, it is best to have some contact information of emergency dentists noted down for the residents of this city. 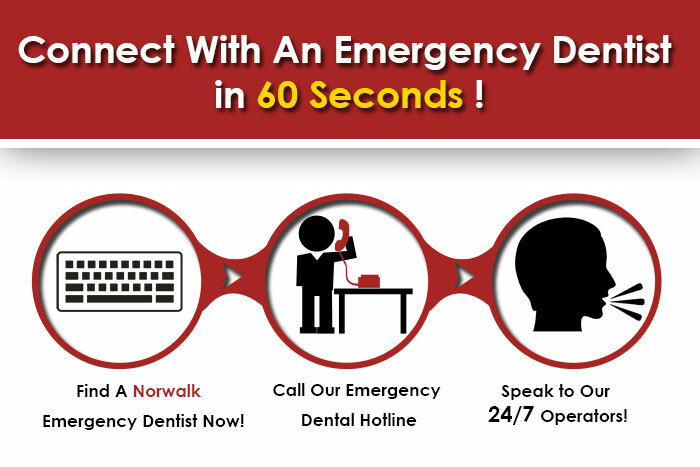 The following is a list of emergency dentists and dental clinics for the residents of Norwalk. Dr. Asmath Noor has been providing state of the art Orthodontic, Aesthetic, and Implant technology to her patients for over two decades. Her valuable experience and friendly staff are striving to achieve complete patient satisfaction, and patient comfort is their number one priority. Some of their services include hand-crafted porcelain veneers, crowns, dental implants, bridges, dentures, teeth straightening with Invisalign, and an hour-long power teeth whitening. Patients are provided with long term dental health that will last a lifetime. Located at 11274 Firestone Blvd, they can be contacted at 562-863-8600. Dr. Corasel takes pride in providing dental care that meets your emergency needs as well as your budget constraints. His gentle approach leaves no reason to be afraid of the dentist anymore as they are a warm and friendly clinic providing cosmetic, dental, and oral surgery. Located at 12052 Imperial Highway #101, you can call 562-863-4775 today. Dr. Alvand Zinabadi specializes in restorative, preventive, cosmetic dentistry, and more at Norwalk Dentistry. Head over to their website for some exciting, limited time offers, including No Charges on Comprehensive Dental Exams, Low Radiation Digital X-Ray, and a Specialist Consultation on Braces. It is conveniently located at 11850 Firestone Blvd. Call them today for more information, to book an appointment, or during emergencies at 562-864-1011. At Pioneer Dental, the qualified dental staff and doctors treat dental emergencies with the utmost importance. An appointment can be scheduled immediately if the dental injury demands instant pain relief. Services include Restorative and Cosmetic Dentistry, Surgery, Laser Dentistry, Dental Implants, Root Canal etc. The location of this clinic is 14034 Pioneer Blvd Suite A-B Norwalk. You can call at 562-376-9748 to book an appointment.